Are you a fan of carpets? Who isn’t. Carpets are one of the most common home accessories that simply bring the whole look of a home together. Aside from the decorative aspect, carpets also add warmth and protect flooring. But to take advantage of all these benefits there is a small price to pay – regular carpet cleaning. And no, I am not talking about vacuuming once a week or once-a-year detailed cleaning. You need to implement a regular carpet cleaning routine to ensure your carpets are dirt free and last longer. Did you know that carpets are like magnets for germs, bacteria and other dirt particles? If not cleaned regularly, the dirt settles deep in carpet fibers and is hard to remove. Accumulated dirt is ideal for bacteria and germs which can cause serious allergic reaction and breathing related health issues. 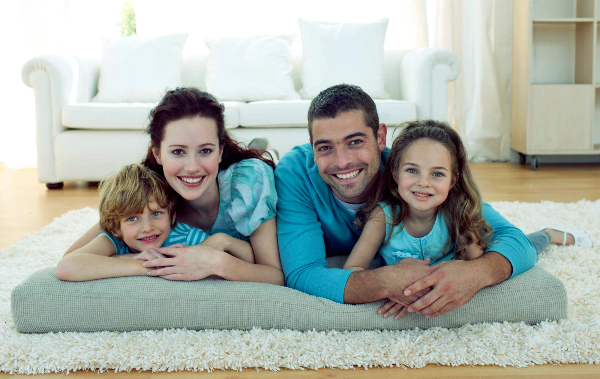 To ensure a clean living environment for your family and yourself, regularly clean all the carpets in your home. Here are few helpful carpet cleaning tips. First and foremost, vacuum carpets at least twice a week. If you have children and/or pets, do it every other day. Vacuuming once a week will not remove all pet hair nor spilled food. Accumulated dirt is always harder to remove, thus stay on top of your carpet cleaning routine. Also, if you regularly clean carpets they will last longer. Another useful carpet cleaning tip is to spot clean. If your child has spilled juice, clean it right away. Spot cleaning will save you from hours of scrubbing stubborn stains. Do not wear shoes inside your home. Shoes are home to mud, dust and debris and will even damage carpet fibers. At least twice a year hire professional carpet cleaning services to have your carpets thoroughly cleaned. They have the equipment, skills, experience, and the right cleaning solution that will not damage your carpets. And your carpets will look as on the day you have bought them. Depending on your budget and just how dirty your carpets are, professional carpet cleaners will offer you variety of carpet cleaning services. You can choose between steam or dry carpet cleaning. Both are tested solutions and offer great results. This entry was posted in Cleaning, Home & Decor and tagged carpet cleaning, carpet cleaning services, cleaning by australiaonline. Bookmark the permalink.